Sparkling Moonlight is a makeup palette with two eyeshadows and one blush. The three intense shades can be used in varying makeup styles, from sheer and romantic to smokey-eye dramatic. 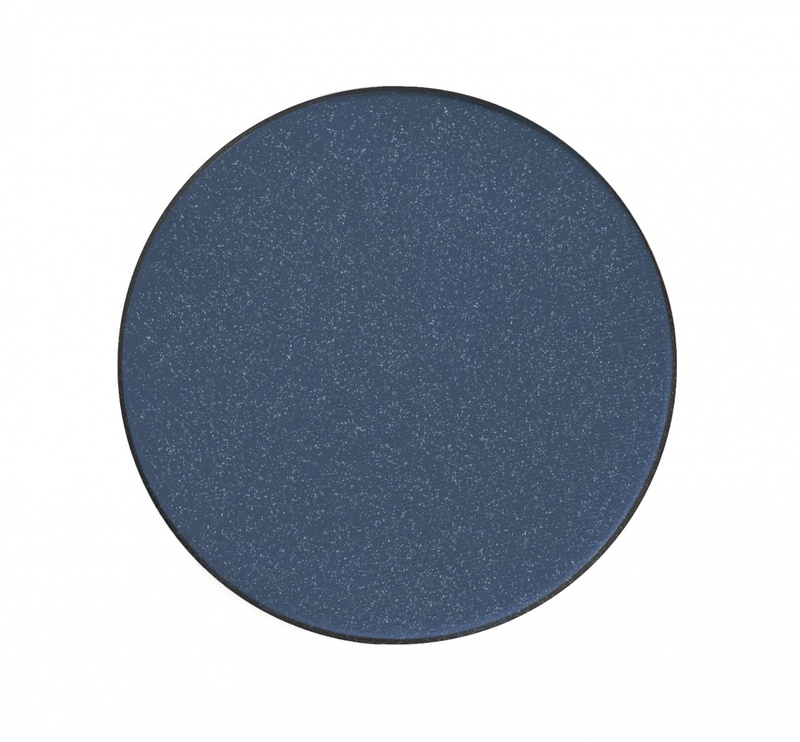 This shimmering, light grey shade is perfect for softening a smokey eye makeup with Eye Shadow Midnight Blue. It also goes well with Eye Shadow Shiny Black and Golden Grey from our makeup range. This dark blue shade with shimmer looks fantastic in a smokey eye makeup. You can vary the colour intensity by applying thicker or thinner layers. This cold, matte blush in hot pink is perfect when you want a more intense shade than Blush Pink. If you want, you can soften the colour intensity by applying a thinner layer. Blush Candy can also be used as an eyeshadow. the eyelid with a suitable shade of Cover Stick, to make the eyeshadows stay put longer. 2) Apply Eye Shadow Base to set the Cover Stick layer, and to cover the whole eyelid with an even shade. 3) Use an appropriate eyeshadow brush to apply Eye Shadow Frosty Grey across the whole eyelid. The grey shade adds a festive shimmer. 4) Apply Eye Shadow Midnight Blue, focusing on the crease and the outer part of the eyelid, making sure there is enough pigment to blend. Blend by rubbing Smokey Eye Brush horizontally back and forth, along the edges of the applied shade. 5) Apply Eye Liner Dark Velvet along the roots of the eyelashes; this will make the lashes look thicker. Apply black Mascara. 6) Apply Blush Candy in a straight line along the cheekbone, to give the face a lift. Never apply blush close to the nose. Hint: Place two fingers next to the nosewing. This area is no go for blush. Smile, to round the cheek, and apply blush lightly, with small, circular motions.